I was very excited to see my friend Barbara Freedman’s book arrive at the Texas Music Educators Association’s 2013 Conference last week! 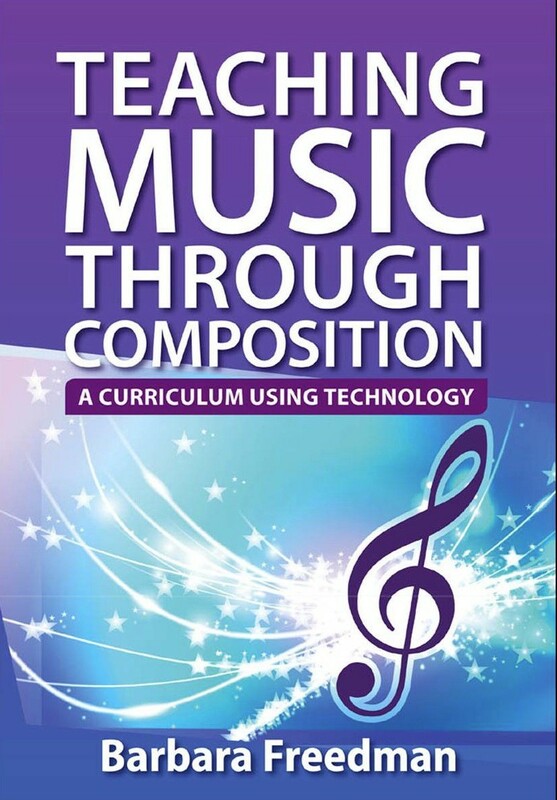 This book is sure to become a best-seller and is worthy of serious consideration from any music teacher looking to teach music concepts through the creative process of music composition. The book is published by Oxford University Press and available now in print and Kindle editions. The true beauty of this book is how Freedman masterfully weaves music compositional concepts into the technological tapestry of today’s 21st Century classroom -every “kid” introduced to this curriculum is going to absolutely love her approach to creative compositional learning and have fun doing it! It’s priced to sell at less than $35.00 for paperback and even less for the Kindle version. In this section, students will explore the basics of electronic music composition from introducing software and exploring loops to composing drum beats and rhythms to writing melodies. In the second section, Freedman takes the reader on a tour that includes basic keyboard theory, harmony, and harmonic form to mixing and remixing audio. Assignments include composing brief melodies over chord progressions and creating ringtones. Named a TI:ME Music Teacher of the Year, Barbara Freedman has been teaching Electronic Music & Audio Engineering at Greenwich High School in Connecticut since 2001. She is an author, consultant, trainer, and frequent presenter/clinician at local, state, and national in-service conferences and events. If you are using this book, feel free to let us know and share what you think of it in the comment sections of this post.